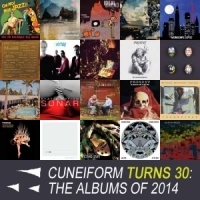 To celebrate their thirtieth year, Cuneiform Records are offering a “Name Your Price” compilation album featuring the 2014 catalogue. The twenty song compilation features nearly two hours of music selected from this year’s album releases. Just visit Cuneiform’s Bandcamp Page to either stream or download. Find out more in The Progressive Aspect’s Featured News Section. More details can be found in The Progressive Aspect’s Featured News Section. released their second studio album, Tellurian, earlier this month have released a second trailer from the album. 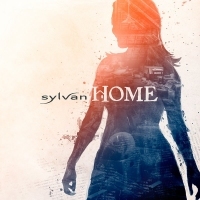 German based artrock band Sylvan reveal the track listing and artwork for their latest studio album, Home, which will be released through the Gentle Art Of Music (GAOM) label on 17th February (USA) and 20th February 2015 (Europe). The album will be available as a single CD, 2 Vinyl (180g) and CD Digi-book (limited edition). Due to an on going viral throat infection Fish has been forced to postpone his current European dates – although the UK dates starting in December will go ahead as planned. The European shows affected include France, Spain, Italy, Switzerland, Germany and Belgium. “I’m just back from the doctor’s in Haddington after another examination and regret to have to announce further postponements. I’d hoped to have been fit for the return to the tour and the gig in Barcelona on Saturday but have been advised to take another 2 weeks off as the virus is not shifting as fast as I had hoped. It turns out the doctor in Erfurt was correct and I was over ambitious when he told me I needed a minimum of 3 weeks rest to recover from this infection. Steven Wilson has confirmed his fourth solo album, Hand. Cannot. Erase. will be officially released through Kscope in March 2015. Also announced are six UK dates followed by twenty four European dates starting in Cologne on 20th March 2015 – more info HERE. Muse will make their first appearance at Download which runs between 12-14 June 2015 at Donington Park. Van Der Graaf Generator will release a new live album recorded during their 2013 European tour. Merlin Atmos will be released on 2nd February 2015 and includes the epic A Plague Of Lighthouse Keepers and the equally epic Flight from Peter Hammill’s A Black Box (80). 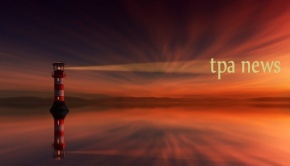 The album will be available in three physical formats: Single CD (Disc 1 only) | Single disc vinyl edition which will only include the two epic tracks A Plague of Lighthouse Keepers and Flight | Limited edition double digipak CD version featuring a seventy minute bonus CD also recorded on the band’s 2013 European tour – continue to read HERE on TPA. The Decemberists will release their seventh studio album, What A Terrible World, What A Beautiful World, on 20th January 2015, followed by dates in the UK and Europe during February and March. Continue reading HERE on The Progressive Aspect. Keep up to date with these gigs and many more with the TPA UK Prog Gig Guide. New versions of Beyond & Before and Sweetness, from the very first Yes album in 1969, are included on New Way Of Life – the former co-written by Clive Bayley and Chris Squire and the latter by Bayley, Squire and Jon Anderson. Netherlands band Modest Midget, one of Lonny Ziblat’s projects, have released a third full-track video from their well received Crysis album, (read the TPA review HERE), featuring Lonny Ziblat: (Acoustic & Electric Guitars, Keyboards & Vocals), Maarten Bakker: (Bass) and Willem Smid (Drums). Animation by Lonny Ziblat. The Gentle Storm featuring composer Arjen Lucassen and singer Anneke van Giersbergen the finishing touches on The Diary, a double concept album that will appear worldwide on InsideOut Music in March 2015. Recently the band revealed the front cover of the upcoming The Diary album created by Alexandra V Bach. CD1: The “Gentle” album, will be all acoustic and folky with lots of exotic instruments. 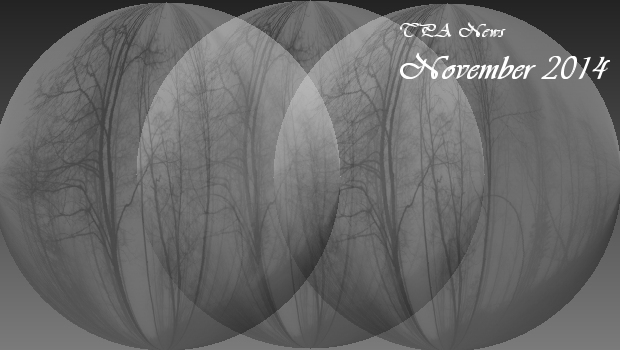 CD2: The “Storm” album, will be an all-out, bombastic orchestral metal album. Today The Gentle Storm announce the first batch of gigs kicking off in the Netherlands, on the 26th March 2015 for the album release show in Amsterdam. This will be the only date that Arjen Lucassen will appear at as previously revealed that he would not be touring with the band to promote the album. More international dates will be revealed soon! Following the release of Pink Floyd‘s final album The Endless River yesterday, the band have released Louder Than Words video. Continue reading HERE. Syd Arthur today release a video the third track Autograph, taken from their second album Sound Mirror, released in June. In the first in a series of seven track-by-track video interviews, Andy Jackson discusses the ideas behind his latest studio album Signal To Noise which will be released by Esoteric Antenna on 24th November 2014. In the first of these interviews he discusses The Boy In The Forest – the opening track from the album. 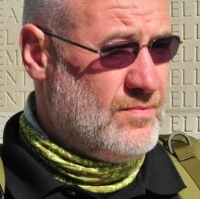 “Signal to Noise” is a fine, modern, progressive work, which draws on Andy Jackson’s exemplary work as an engineer and producer. Besides being an allusion to Andy’s sound engineering background, the title refers to many of the lyrical themes of the album. Andy explains; “The album reflects on the sorting of what is important in life from the humdrum of everyday existence, and is in itself an analogy for the process of the creation of the album”. Continue Reading HERE. German krautrock legends Faust have released their twelfth studio album j US t (pronounced Just Us) on the Bureau B label. The Enid, via Facebook, have revealed that they will shortly be announcing details of a new DVD release of their performance at Crescendo Festival. “We shall soon be officially announcing a new live concert video. Our performance at Crescendo festival, France in August was filmed by a local film maker. With our new technology on stage I was also able to make a 32 track recording. I must admit, that this video came is a bit of a surprise. At the time, we didn’t know the show was being filmed, so we certainly didn’t expect the results to quite as spectacular and high quality as they are. With a fantastic light show, big stage, multiple cameras and high quality audio, this is by far the best live video we’ve made this millennium, and we’re all rather chuffed with it! I’ve got the finished footage and audio all mixed so it will be out ready for Christmas and previews will be on Youtube this week. RoSfest announce that Glass Hammer will perform on the last day of this year’s festival who join an impressive line-up for its 10th official year. The annual RoSfest Festival 2015 takes place between Friday 1st May and Sunday 3rd May 2015 at Gettysburg’s Majestic Theater. Continue reading in our the Featured News article HERE. Opeth have announced they will play a one-off show at the London Palladium on the 18th October 2015. No ticket information is available at this moment in time. 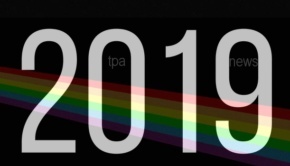 Keep up to date with this and many more with the TPA UK Prog Gig Guide. Peter Hammill will release his latest studio album …all that might have been… on 24th November 2014 and will be available in several editions: CD, 180g Vinyl, 3CD Box Set and Digital Download. 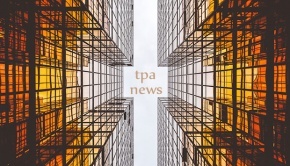 Continue reading in the TPA Featured News section HERE. Back in April we revealed that Gong would release their latest studio album, I See You, in September and ahead of their UK tour. Sadly due to Daevid Allen’s illness and the necessary radiotherapy course of treatment, the shows were unavoidably cancelled. However we are pleased to announce that the somewhat delayed album will now be released on Monday 10th November 2014. A month on from Lasse Hoile’s first trailer, filmed in September this year at AIR Studios, is the second featuring Steven Wilson and band. In this video Steven talks about his next solo album, scheduled for release in February 2015 and “discusses his next solo album’s concept and themes, revealing more details about the record and it’s inspiration”. Dutch progressive rockers Silhouette announce the official release date of their fourth album, Beyond The Seventh Wave, will be 24th November 2014. The day prior this the band will perform the album in an hour long live support slot to Martin Barre (Jethro Tull) at Zoetermeer’s De Boerderij. More information can be found HERE. The album boasts an impressive list of guest musicians, including Ton Scherpenzeel (Kayak, Camel) and Ruben van Kruistum, Laura ten Voorde (Adeia). Queen premier an unreleased song, Let Me In Your Heart Again (William Orbit Mix), which features the late Freddie Mercury and as part of a new AIDS awareness campaign spearheaded by Coca-Cola and (RED). John Bassett perhaps best known for his project KingBathmat, but who earlier this year released the well received Unearth solo album, returns with a new seven track instrumental release under the eponymous title Arcade Messiah. As a taster John has released Your Best Line Of Defence Is Obscurity taken from the Arcade Messiah album. 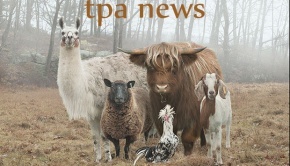 Continue to read HERE at TPA. Fractal Mirror reveal the first single from their soon to be released album Garden Of Ghosts album, scheduled for release on the 11th of November 2014. Co-produced by Echolyn’s Brett Kull, the new release follow’s up the well received debut, Strange Attractors release from last year. Frank L Urbaniak’s video of The Garden features the evocative artwork of Brian Watson which captures the songs touching concept of the aging process and how our minds and bodies deal with it.